Friday Finds is hosted by MizB at You Should Be Reading and you can find it here. My first book is another find on Nymeth's site Things That Mean A Lot. Here is a description of the book from Wikipedia. 84 Charing Cross Road is a 1970 non fiction book by Helen Hanff, later made into a stage play and film, about the twenty-year correspondence between her and Frank Doel, chief buyer of Marks & Co, antiquarian booksellers located at the eponymous address in London, England. Hanff, in search of obscure classics and British literature titles she had been unable to find in New York City, noticed an ad in the Saturday Review of Literature and first contacted the shop in 1949, and it fell to Doel to fulfill her requests. In time, a long-distance friendship evolved, not only between the two, but between Hanff and other staff members as well, with an exchange of Christmas packages, birthday gifts, and food parcels to compensate for post-World War II food shortages in England. Their letters included discussions about topics as diverse as the sermons of John Donne, how to make Yorkshire Pudding, the Brooklyn Dodgers, and the coronation of Queen Elizabeth II. Hanff postponed visiting her English friends until too late; Doel died in December 1968 from peritonitis from a burst appendix, and the bookshop eventually closed. Hanff did finally visit Charing Cross Road and the empty but still standing shop in the summer of 1971, a trip recorded in her 1973 book The Duchess of Bloomsbury Street. A circular brass plaque on the building that now stands on the shop's former site acknowledges the story. I love a book which is made up of a collection of letters. Nymeth also reviewed The Duchess of Bloomsbury Street too, so I think both books will be going on my list. An excerpt from this book came with The Waterstones quarterly magazine. I read it and desperately wanted to read it. On the Fantastic Fiction site, it mentions that this is the third book about Henry Parker, however from what I read and the way Waterstones are advertising it, it looks like it can be read on its own. 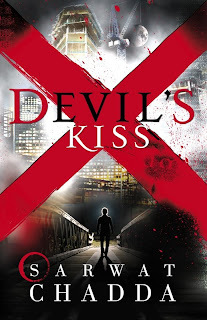 Devil's Kiss by Sarwat Chadda. This book is based on the lives of the Knights Templar, who featured rather heavily in Dan Brown's book, The DaVinci Code. I found this over at Carrie's YA site. Fifteen-year-old Billi SanGreal never meant to make history. Dragged at the age of ten into the modern-day Knights Templar by her father, the Grandmaster, Billi's the first girl ever to be a Templar warrior. Her life is a rigorous and brutal round of weapons' practice, demon killing and occult lore – and a lot of bruises. But then temptation is placed in Billi's path – an alternative to her isolated life. But temptation brings consequences. In this case – the tenth plague – the death of all first borns and so Billi must choose her destiny. And as she soon discovers, death isn't even the worst . . . I found this whilst browsing Amazon and fell in love with it. Strange things are happening on the remote and snowbound archipelago of St Hauda's Land. Unusual winged creatures flit around icy bogland; albino animals hide themselves in the snow-glazed woods; jellyfish glow in the ocean's depths...And Ida MacLaird is slowly turning into glass. A mysterious and frightening alchemical metamorphosis has befallen Ida Maclaird - she is slowly turning into glass, from the feet up. She returns to St Hauda's Land, where she believes the glass first took hold, in search of a cure. Midas Crook is a young loner, who has lived on the islands his entire life. When he meets Ida, something about her sad, defiant spirit pierces his emotional defenses. As Midas helps Ida come to terms with her affliction, she gradually unpicks the knots of his heart, and they begin to fall in love...What they need most is time - and time is slipping away fast. Will they find a way to stave off the spread of the glass? The Cupcake Queen by Heather Hepler. I couldn't resist this one, as anyone who knows me, knows that I have a love for all things cupcake. I found this over at Carrie's YA blog. So they are my finds this week, that I really look forward to finding and reading. What did you find? 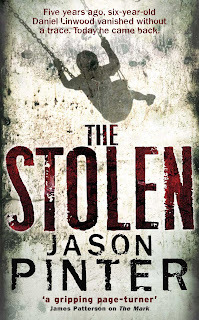 The Stolen does sound really good. I look forward to your review of that. The Cupcake Queen sounds wonderful. I'm going to add that to my list. You found some great books. The first one, I had read it a long time ago. Need to re-read it! Wow, those all sound so great! The Stolen sounds especially good, I'll have to looking into getting myself a copy! Have a great weekend. Nymeth got me with the first one to! LOL. 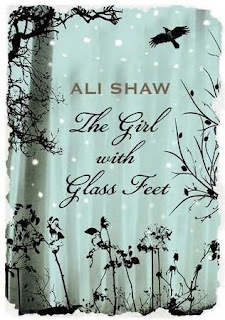 The Girl With Glass Feet does have a gorgeous cover, and it sounds like something I'd love. 84 Charing Cross Road is one of my all-time favorites – it's an amazing book. The rest of the books sound interesting, too. And I'm in love with the idea of a cupcake bakery – wish there was one of those around here! Nice finds! Great finds! I love the cover on The Girl With Glass Feet-different but cool. It sounds good too. 84, Charing Cross Road is a great read -- I recommend it too! I also love the cover of The Girl with Glass Feet. Looks like you've got some good finds there. I'll be interested to see what you think of them, I haven't read any!! I'm really tempted to read 84 CCR. I've seen the movie and thought it was lovely. I like epistolary books. 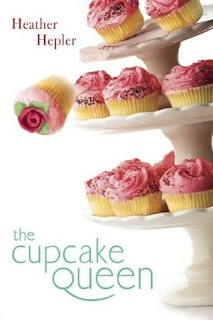 Love the cover of The Cupcake Queen! Your Friday Finds seem intriguing. I love the name of your blog. When I was growing up there was a great shop in NY called Serendipity. 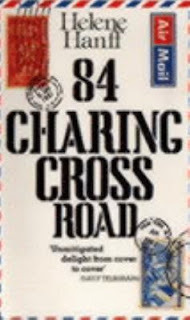 If 84 Charing Cross road is anything like the Guernsey format then it would be wonderful. The Cupcake Queen looks beautiful! I knew better than to read this post...now I'm dying to get my hands on The Girl with Glass Feet! Great finds. They all sound good. That cover on The Cupcake Queen is too cute. You found some terrific books! I'm going to go looking for a couple of them myself. Great finds! But I am here to give you an award.